TORONTO and SEATTLE, June 4, 2015 – Colliers International Group Inc. (Nasdaq:CIGI) (TSX:CIG) and FirstService Corporation (Nasdaq:FSV) (TSX:FSV) today announced the completion of their separation into two independent, publicly traded companies – Colliers International Group Inc. (“Colliers”) and new FirstService Corporation (“FirstService”). Trading of Colliers’ shares began on The NASDAQ Stock Market (“NASDAQ”) under symbol CIGI and the Toronto Stock Exchange (“TSX”) under symbol CIG on June 2, 2015. The spin-off establishes Colliers’ place as one of the leading publicly traded commercial real estate firms in the world. “The spin-off is a critical and very carefully considered part of our growth strategy that will strengthen our visibility among investors and clients and further accelerate Colliers’ evolution in key markets and service areas around the world,” said Jay Hennick, Executive Chairman and largest shareholder of Colliers. “Colliers thrived as part of FirstService; its revenues grew from approximately $200 million in 2004 to $1.6 billion in 2014, thanks to an exceptional management team, soundly executed growth strategy, and a disciplined approach to creating shareholder value. The added visibility and flexibility that comes with the spin-off will only further enhance Colliers’ reputation as one of the leading advisors to clients across a broad spectrum of property types and services in commercial real estate the world over,” he added. The move gives Colliers more flexibility to pursue a broader variety of growth opportunities including acquisitions and service-line diversification — all with a view to enhancing global client service and shareholder value. One of the fastest growing commercial real estate firms over the past decade, Colliers will now also have a focused capital structure with significant inside ownership, making it a powerful “pure play” in global commercial real estate services that can be easily understood, evaluated, and compared to its competitors by the capital markets. 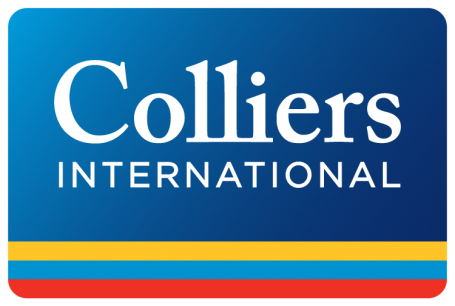 “Our mission has been to establish Colliers as the global firm that best serves the needs of today’s real estate clients,” said Doug Frye, Global President and Chief Executive Officer of Colliers. “To successfully support the next phase of this mission, we will continue to grow our global platform in professional services and seek out opportunities to diversify our revenue streams while advancing our track record of exceptional service. Consolidation is a reality of the commercial real estate industry, and Colliers will continue to stand out as a trailblazer, building on its proven record of growth, strong balance sheet and focus on building an enterprising and dynamic global commercial real estate services organization to benefit clients, professional advisors, and shareholders over the long-term,” he added. Shareholders will benefit from the strong insider ownership and continuity of management to which they’re accustomed; largest shareholder Jay Hennick continues his leadership role as Executive Chairman, while John Friedrichsen, serves as Chief Financial Officer and Elias Mulamoottil will serve as Global Head of Mergers and Acquisitions. Doug Frye, Global President and Chief Executive Officer of Colliers International, will retain the role he has for 13 years with Dylan Taylor, Chief Operating Officer, overseeing the executive team in charge of operations of Colliers.